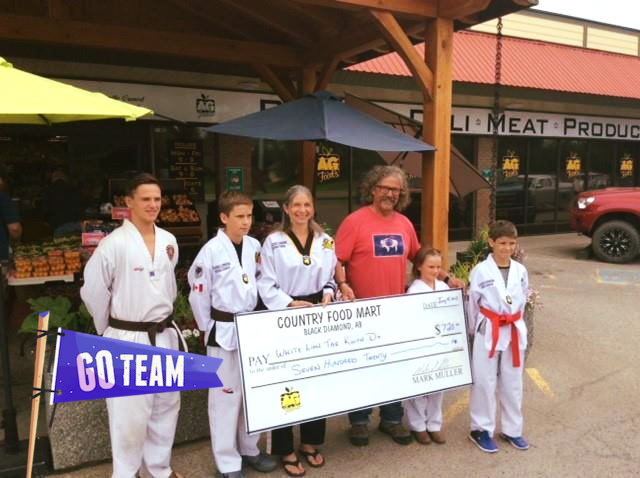 All of our AG Foods™ stores and staff are committed to supporting the communities in which we live and do business. We believe that supporting events and projects within our communities is an important part of doing business. Whenever possible, AG Foods™ stores buy products from local growers and suppliers because we know that good things grow in Canada. Every year, independently owned AG Foods™ locations across Western Canada work with community groups, charities and local sports teams to aid in fundraising initiatives benefiting schools, playgrounds, historic sites, parks, community beautification projects, sport teams, community recreation arena's, seniors programs, youth programs and a whole range other worthwhile community programs. We are proud of the support we have given back to our communities.